Reiki is an ancient art of hands-on healing. 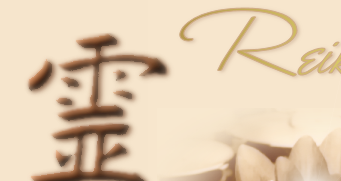 The word Reiki is made of two Japanese words - Rei which means "God's Wisdom" or the "Higher Power", and Ki, which is "life force energy". 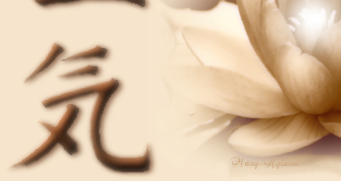 The ability to channel Reiki is passed from Reiki Master to Student through an Attunement process. Following the Attunement, Reiki flows through the practitioner's hands, a powerful tool to heal ourselves and each other physically, emotionally, mentally and spiritually. Reiki works equally well on people, plants, animals, food, water and medications ~ everything! As you give Reiki, you also benefit as it flows through you! No prior experience in healing is needed to learn Reiki. 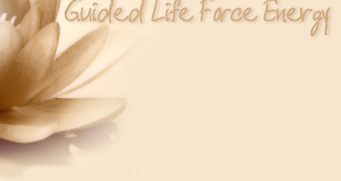 This is the basic course in Reiki and includes one energy-activating attunement along with complete training in the scientific use of the Reiki technique. The student is taught how to pass on the universal energy without depleting his/her own energy supplies. You will learn the history and hand placements. Reiki I is for your own self healing, and will help to open your energy field and balance your chakras. You will leave confident on the techniques of using this loving healing energy. During second degree training, the student receives another attunement and learns specific techniques for enhancing the flow of energy and for performing “long distance” sessions. They are also taught a special method for dealing with deep-seated emotional and mental problems, which can be used with either a physical or distance session. You will be introduced to sacred energy symbols that can be used for a deeper more intense healing. 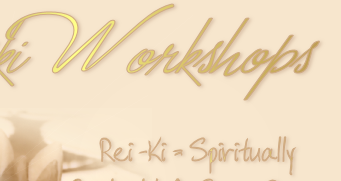 Reiki II intensifies the energy of Reiki I.
Reiki III includes an attunement to Master level of Usui Reiki. This is usually referred to as the Master level of training, as those who receive it will become Master/Instructors and be able to instruct others. With Karuna Reiki ®, a Practitioner is able to access additional frequencies of energy to assist in deeper healing, especially for emotional issues. Karuna Reiki ® engages very high frequencies of healing energy, raising the Practitioner's own energy vibration and giving him or her powerful tools to work with. Working at this higher vibration permits the Practitioner easier access to the healing energies of Enlightened Beings (Ascended Masters, Angels, Bodhisattvas, and others) whose guidance can be used in the work. Working with the wisdom and guidance of the Enlightened Beings and his/her own Higher Self, the Practitioner is able to use compassionate action, combined with wisdom, to help the client on their path to wholeness and health. Karuna Reiki also comes in three levels. Each a day's training.